Fourth in a series recapping the 2010 Manhattan Cocktail Classic. Most people would be content to be recognized as an internationally renowned artist, with pieces housed in the permanent collections of LACMA and the Guggenheim. But Ron Cooper, Founder and President of Del Maguey Single Village Mezcal, isn’t most people. His artistic accomplishments are simply steps along the path of a remarkable journey that has taken him from remote villages in Oaxaca to top restaurants and bars across the U.S. and around the world. Cooper would share the story of that journey on Day Three of the Manhattan Cocktail Classic, during The Magic of Mezcal: Making the Maguey Cocktail. 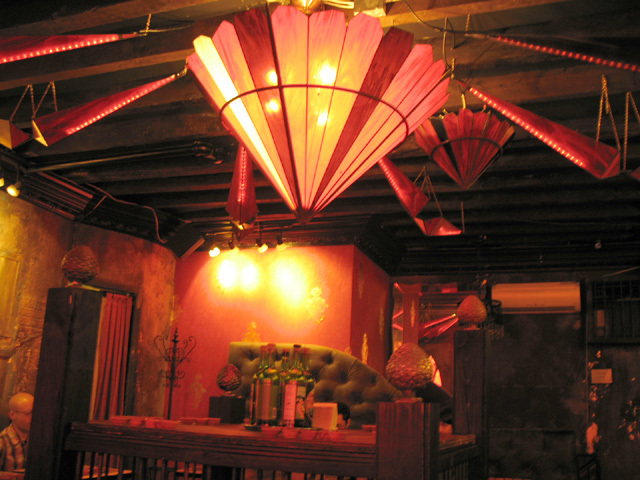 The sold-out session took place at Mayahuel, the house of agave worship that Phil Ward and Ravi DeRossi opened last year in the East Village. After checking in, we were directed upstairs to seat ourselves. The packed room was SRO, but luckily I was at a table with Stephanie Moreno (Astor Wine & Spirits) and Lindsey Johnson and Dave Harrison of Lush Life Productions. 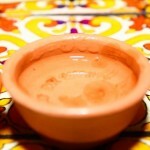 Arranged on the tables in front of each guest were five clay sipping cups, filled with Del Maguey Mezcal. We started off with a refreshing Salsa Verde cocktail, courtesy of Andy Seymour (aka wine geek). 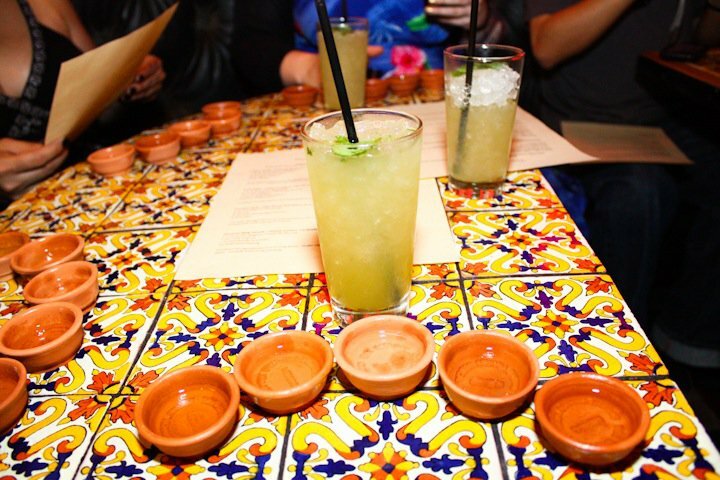 For our welcome drink, Seymour featured Del Maguey’s latest release, the entry-level Mezcal Vida de San Luis del Rio. Put 6 cilantro leaves in a mixing glass, add remaining ingredients and fill with ice. Shake hard and strain over crushed ice in a highball glass. Garnish with fresh cilantro leaves. As we sipped our Salsa Verdes, Steve Olson (aka wine geek) welcomed us by saying, “I want to look everyone in the eye and see what kind of people want to spend an afternoon drinking mezcal!” Hearty cheers all around, as Olson thanked everyone for attending, then talked about his own passion for mezcal before introducing Ron Cooper with a genuine admiration and respect that would be echoed throughout the session. Cooper thanked us as well, then lead everyone in a toast: stigibeu (“stee-gee-bay-oo”), Zapotec for “to your health.” After this ceremony, Seymour gave us a quick overview of how mezcal is created from processes unchanged since the 16th century. The hearts of maguey espadin (“sword”) are placed in a pit in the ground, covered with earth, and roasted over hot stones for three to five days. The roasted maguey is ground to a mash using horse-powered stone mills, followed by a long period of natural fermentation in wooden vats before being slowly distilled twice in wood-fired clay or copper stills. No chemicals, colorings or additives are used at any stage in the production of Del Maguey Mezcal. By preserving the 400 year-old methods of its palenqueros, Del Maguey became the only mezcal certified organic by the Organic Crop Improvement Association (OCIA). Seymour then handed off to Cooper, who began his tale in 1963, when he was an art student camping in Ensenada. There, he was introduced to mezcal at Hussong’s Cantina, where he spent many nights drinking the kind of swill (with the worm) that gave mezcal such a bad name. Despite the wicked hangovers, the smoky seed had been planted, as we’d soon find out. In 1970, after the opening reception for an LA group show that included Cooper’s artwork, the gallery owner brought out a bottle of Herradura Blanco. At some point during the night, someone asked the fateful question: “Do you think the Pan-American Highway really exists?” Four months and thousands of miles later, Cooper and his friends had driven to Panama. Along the way, they found Teotitlán del Valle, the Oaxacan village where Del Maguey Mezcal is now headquartered. Cooper fulfilled his dream in 1995, when he began importing handcrafted mezcals into the U.S. through his company, Del Maguey, Ltd. Each of the company’s artisanal mezcals is produced in limited quantities by an individual palenquero (mezcal maker) in the palenque (village) from which it takes its name. With water and the heart of the maguey as the only ingredients, the palenqueros capture the essence of Oaxaca’s mountains, plains and valleys in the award-winning spirits that Cooper has brought to the world. The full scope of Cooper’s achievement, which goes well beyond the difficulties of his travels, would be revealed as we tasted through the Del Maguey range. 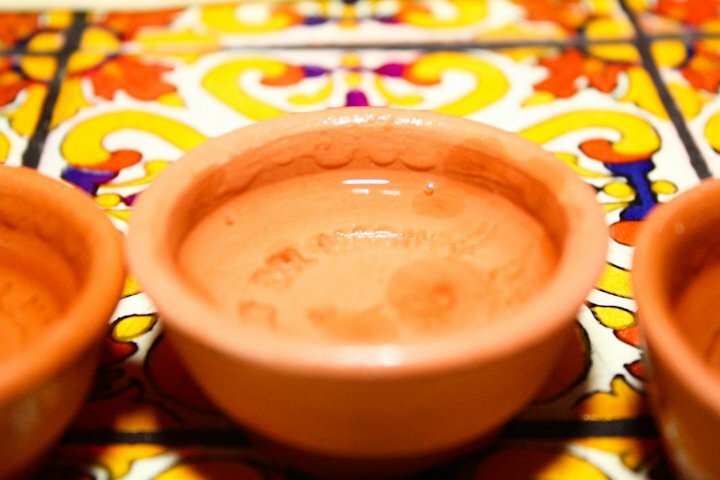 The first cup we sipped was the Crema de Mezcal, which Cooper likes to say is “for women only…and a few strong men.” Crema de Mezcal combines Miel de Maguey (the unfermented syrup of the roasted maguey) and San Luis del Rio, one of Del Maguey’s 1995 releases. Ten percent Miel de Maguey is added to ninety percent San Luis del Rio, resulting in the lower proof (80.6) Crema de Mezcal. A roasted maguey aroma leads to a creamy sweetness on the palate, with vanilla and pear notes, and hints of orange in the long, smoky finish. We then tasted the second cup, a 98 proof mezcal from Santo Domingo Albarradas, a palenque located at an 8,500 foot elevation in the high Mixe region south of Oaxaca. Espiridion Morales Luis and his son Juan have distilled what Cooper called the village’s “cloud forest” surroundings in this highest of mountain mezcals. It’s an herbaceous, peaty spirit full of tropical fruit and spice. With horses and burros the only modes of available transportation, Santo Domingo Albarradas is very limited in its production. Combine all ingredients in a mixing glass over ice. Stir to chill and strain into a coupe or cocktail glass. The third cup took us to Chichicapa, separated by a mountain range from Oaxaca, two hours south and two hours to the west along a dirt road. Faustino Garcia Vasquez is the palenquero, and from Chichicapa’s 7,000 foot elevation he has channeled the surrounding desert and tropical climate into a mezcal of complex character. Chichicapa has a lighter nose and a long, smoky finish with a hint of mint. 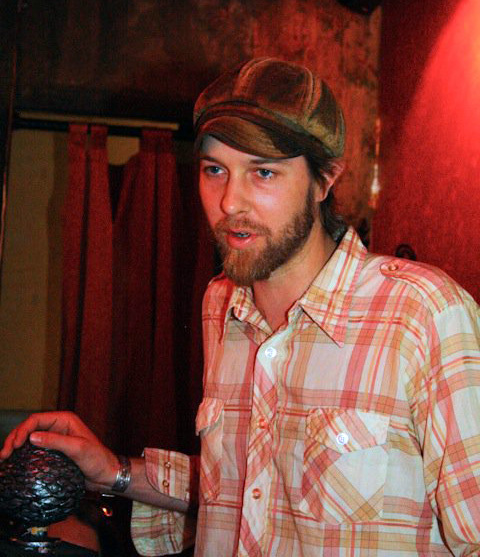 Ward then offered his Division Bell cocktail, a Last Word variation named after the Pink Floyd album that helped him get through Mayahuel’s five-month buildout. Combine all ingredients in a mixing glass, fill with ice and shake. Strain into a coupe or a cocktail glass and garnish with a grapefruit peel. Our fourth Del Maguey was Minero, made by Florencio Carlos Sarmiento and his sons Florencio Carlos Vasquez and Luis Carlos Vasquez, in the village of Santa Catarina Minas. Cooper said that Minero possesses elements of all the previous mezcals we had tasted that day. Instead of copper, the still at Santa Catarina Minas is made with clay and bamboo tubes, giving Minero distinctly sweet and fruity qualities. Minero has a high acidity and a bright, floral complexity with notes of honey and fig. The sweetness carries through the warm, smooth finish. Like Lermayer, Danny Valdez (Cure) expressed gratitude to Cooper for his experience in Oaxaca. Valdez then talked about Brandy Milk Punch, the ubiquitous New Orleans brunch drink and hangover remedy. 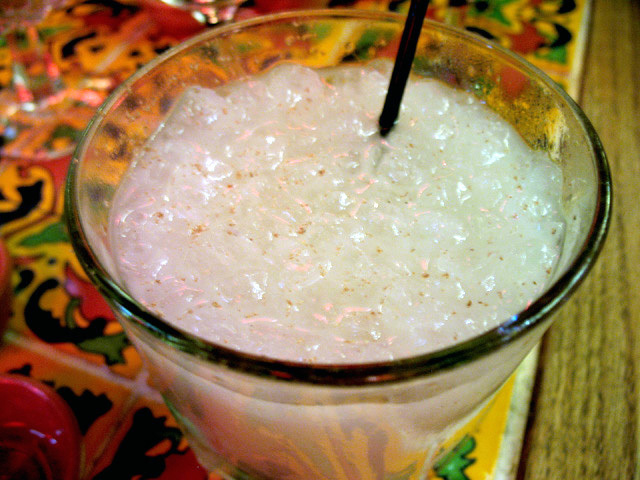 His Oaxacan Milk Punch is a wonderful Zapotec variation of the Big Easy favorite. Combine all ingredients in a mixing glass. Shake vigorously and strain over crushed ice in a rocks glass. Garnish with fresh nutmeg. 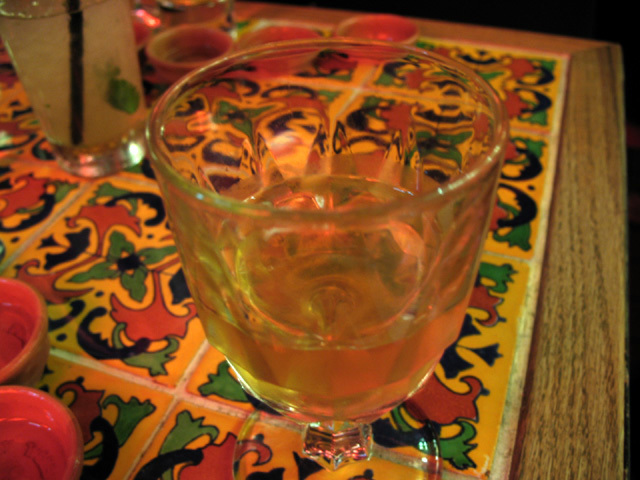 Cooper saved Tobalá, the rarest Del Maguey mezcal, for the fifth and final cup. 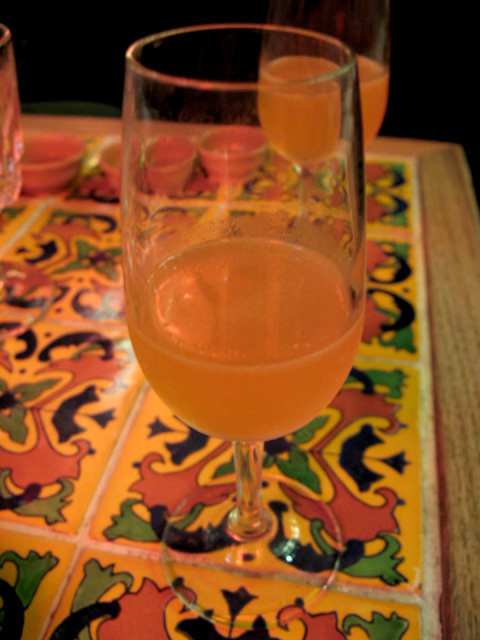 Unique among the Del Maguey expressions, Tobalá is made from a tiny variety of maguey found only in high altitude canyons. The palenquero buries the “wild mountain maguey” for an entire month, producing an exceptionally aromatic and complex mezcal. Tobalá has sweet, tropical fruit on the nose, then mango and cinnamon on the palate, and a long, velvety finish. The annual Tobalá production (about 400 liters) is almost entirely consumed during a week-long village fiesta honoring its patron saint, but Del Maguey obtained permission for the palenquero to make an extra portion for the special bottling. The 2009 vintage of Tobalá is limited to 600 hand-numbered bottles. 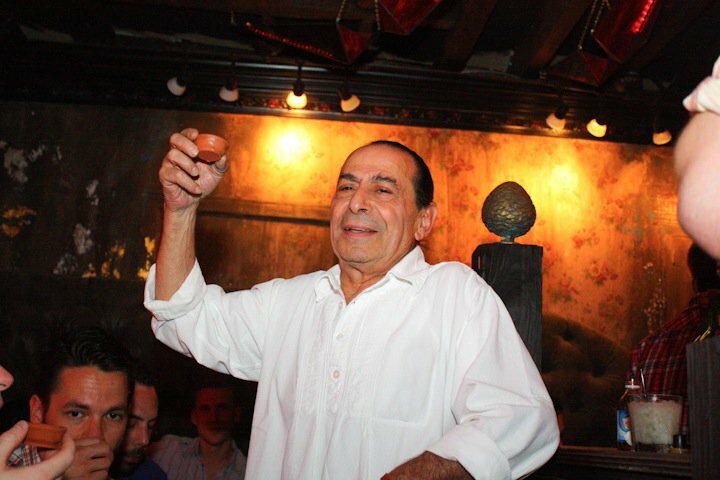 A final accolade came from David Suro-Piñera, owner of Tequila’s Restaurant in Philadelphia and Siembra Azul Tequila. 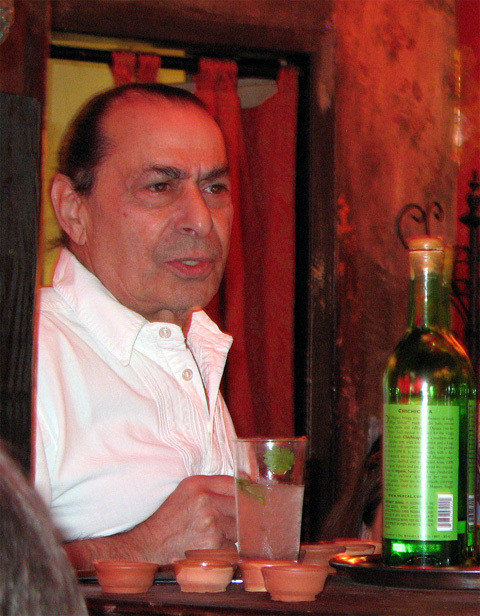 He acknowledged that mezcal is “the anchor to tequila,” something he knew many of his fellow tequila producers would be loathe to admit. Suro-Piñera said that Cooper’s “mystical presence” was the reason we were all there, the beneficiaries of an artist whose desire to share an ancient, magical elixir with a few friends became something far greater than even he could have imagined. For more information, visit Del Maguey at www.mezcal.com. Be sure to check out Wyatt Peabody’s superb, in-depth profile of Ron Cooper at MEZCAL: Liquid Art.